The Geonaute action sports camera records 360º horizontally and 150º vertically to create sharable 3D video of your next vacation adventure. We're giving away a Sony Bloggie Touch pocketcam. Enter now through April 13th, 2012 for a chance to win. Blue Microphone is offering a big boost in online calling quality at a reasonable price with its new, compact, Tiki USB mic. Sony Music Unlimited, and digital music subscription service, is coming to iOS devices such as iPad and IPhone. Lantronix xPrint Server-Network Edition plugs into a home network router and makes almost any old printer compatible with the direct printing capability built into Apple’s iOS devices. Sony has added a new twist to its popular pocket camcorder line-up – the ability to stream video live over the Internet via a built-in Wi-Fi connection. The Bloggie Live, priced at $250, shoots full HD video and 12.8 megapixel stills. Wi-Fi Key Feature in New Samsung Cameras, Camcorder. Sony Bloggie Touch for only $94, (that's 48% off the $179.99 suggested retail price) on Groupon. But act quickly, these specials sell out fast. The Samsung W200 is waterproof to 3 meters, shockproof and shoots in 1080p - all for only $159. Cisco to shut down Flip line of camcorders, refocusing on home networking devices. We're giving away a Sony Bloggie Touch pocketcam. Enter now through March 29th, 2011 for a chance to win. From the $250 Sony 3D Bloggie to the $2,000 JVC GS-TD1 there's a 3D camcorder for anyone who wants to paint family members blue and create their own Avatar. From 46% off the tiny Flip MinoHD to 48% off the skinny Toshiba Camileo, to 42% off the uber JVC GZ-HM1, and more. With a beautiful 3-inch capacitive touch screen, the ability to take 12 MP photos and great low light and close-up capabilities, Sony's Bloggie Touch takes the pocketcam up a notch. 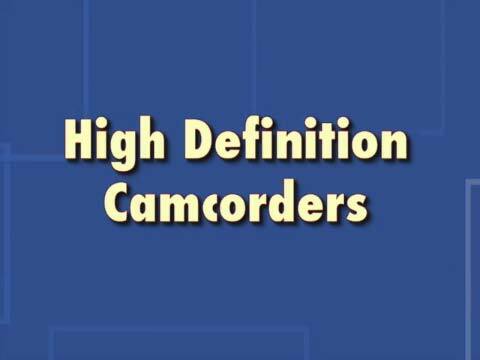 Photos and videos are great for reliving important moments, but now you can truly immerse yourself in your memories with home videos shot in 3D with DXG's 3D Pocket Camcorder. Would Dad love to capture family videos in beautiful HD and easily share with family and friends? Enter Flip's SlideHD camcorder giveaway through June 11th, 2010 for a chance to win! Cisco Flip SlideHD Giveaway for Grads! Want to capture graduation day in beautiful HD video and easily share the celebration with family and friends? Enter Cisco's Flip SlideHD giveaway through May 21st, 2010 for a chance to win! We're giving away a Flip UltraHD Camcorder courtesy of DTS! With 8GB of built-in memory, you can capture 120 minutes of HD video. Enter now through January 26th! Kids can insert themselves into their favorite Disney movies with new Disney In Scene Video Camera and editing software.